The case and internals are made from 316 stainless steel. All units are designed to operate continuously with no routine shutdowns for cleaning or maintenance. 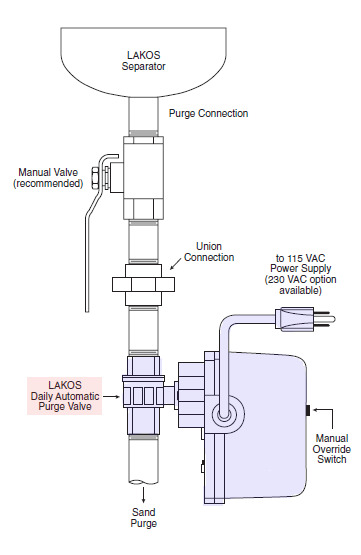 Purging of separated solids may be performed during full operation with no loss of performance. Consistent with the systems flow rate, ILBSeparators typically require no more than 5-12 psi (0.3 - 0.8 bar) loss for effective solids removal without troublesome pressure fluctuations. 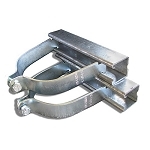 ILB Separators are available in either carbon steel or stainless steel. 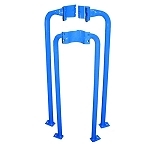 Each has distinct qualities with regard to corrosion, pressure and cost. ILB Separators. The simple, easy-to-use solution for a wide variety of solids-from-liquids problems. 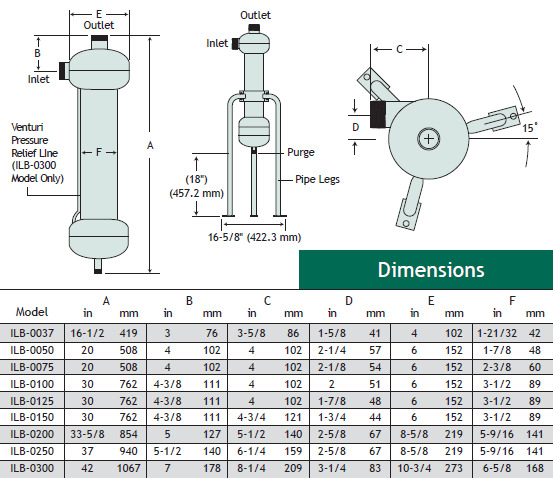 D. Pressure loss shall be between 5-12 psi (0.3 - 0.8 bar), consistentwith the above flow range. * Please refer to images above for the Dimensions. 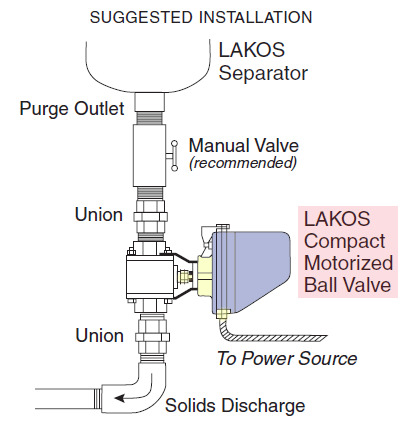 The removal of specific unwanted solids from a pumped/pressurized liquid system shall be accomplished with a centrifugal-action vortex separator. Solids removal efficiency is principally predicated on the difference in specific gravity between the solids and the liquid. Performance is expected to be 98% removal of 74 microns and larger, with significant particle removal of finer particles also likely. A tangential inlet and mutually tangential internal accelerating slots shall be employed to promote the proper velocity necessary for the removal of the separable solids. The separator s internal vortex shall allow this process to occur without wear to the accelerating slots. Separated particle matter shall spiral downward along the perimeter of the inner separation barrel, in a manner that does not promote wear of the separation barrel, and into the solids collection chamber, located below the vortex deflector stool. 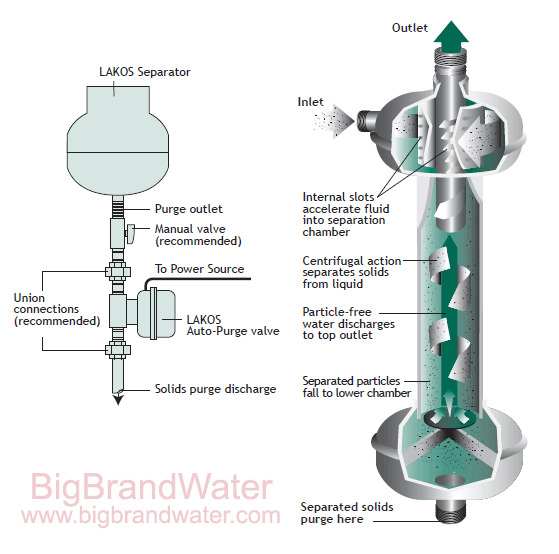 System liquid shall exit the separator by following the center vortex in the separation barrel and spiral upward to the separator outlet.